Home » Uncategorized » 10 Things That You Don’t Know About Me. 10 Things That You Don’t Know About Me. I cannot eat pudding–it’s a consistency thing. 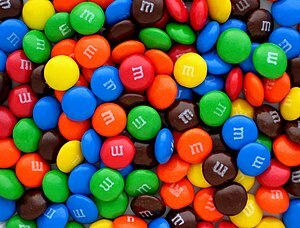 I never eat the red and blue M&M’s. (When I was a child, there was an outcry about the red food coloring.) I’ve never been able to eat them; however, I have no explanation for not eating the blue M&M’s. My favorite scented candle is Lavender made by Red Flower World. I study Natural Perfumery with Anya McCoy. I own over 600 books. I love slightly frozen, grape flavored KoolAid Jammers. I detest having my photograph taken. I have two favorite scents: orange flower blossoms and tuberose. This entry was posted in Uncategorized and tagged top 10's. Bookmark the permalink. Hey Girl, I am sorry that I have taken so long to respond but with the appendectomy and all, I have been much too lax. I hope that you are still keeping on. I have to catch up on your insightful and always entertaining posts. Stay sweet, Girlfriend.